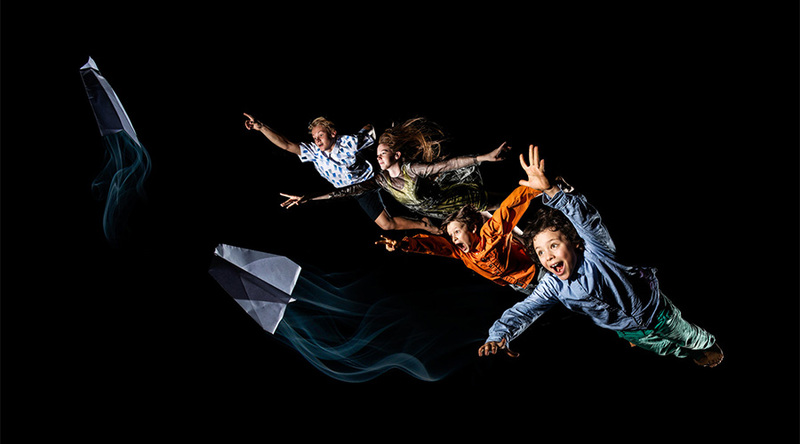 Be swept away these April school holidays when the fabulous Flipside Circus artists return to the Judith Wright Centre with their captivating new show, Stories from the Sky. Featuring accomplished circus artists aged 11 to 18, the imaginative tale of memory, dreams and friendship is inspired by the artists’ own stories. The intimate tales weave in an array of circus skills including breathtaking aerials, amazing acrobatics, gusty German wheel and extraordinary juggling to create a heart-warming performance perfect for audiences of all ages. The fun continues after the show, with burgeoning circus stars feeling inspired invited to join staff from Flipside’s training centre for post-performance circus activities in the Judith Wright Centre’s Shopfront. Beginning the process with a week-long development earlier this year, Alyssa and the young performers have been training three times a week at the Flipside training centre in Alderley in preparation for the season. Since beginning in 1998, Flipside Circus has developed a reputation for spectacular shows and superior contemporary circus training. Following nine years working in programming at Brisbane Powerhouse, William Pike has recently joined the Flipside team as CEO to contribute to the company’s continued success. “I love working in a place where we encourage safe risk taking, hard work, showing off and laughter, as well as building trust and young people’s capacity as creators,” says William. Any performance from these fresh-faced, fit and fearless artists is sure to delight the whole family – so be sure to book your seats now for a school holiday experience where the imaginary becomes reality, flying is perfectly possible and dreams really do come true.